This week’s String is shared by tangler Judy Okawa for your creative enjoyment. What great ideas! Fixing broken pottery to make it more beautiful, and then using the crack pattern as inspiration for a string. 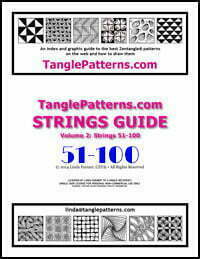 I googled kintsugi and found many more string ideas. Thank you so much! Sara, thanks for your follow-up suggestion! After I read it, I checked out kintsugi on Google Images, and, as you said, found lots more ideas…. Thanks! I love this string! And it can be changed in so many ways! Thanks for the inspiration – it will be my next greeting card string. Would love to see the greeting card you do! I love this string. So,I decided to post the tile and share it with you. This is a first time for me to do this. 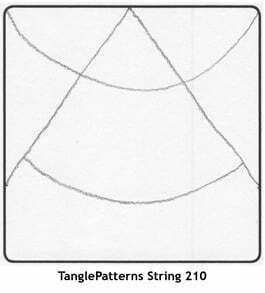 Thank you, Judy Okawa, for sharing this string with us. Thanks for sharing your tile! I love your combination of tangles, and how Zinger grows out of Rixty! Thank you Judy! I’ve been working through the Zentangle Primer Vol 1 and fell in love with these basic tangles all over again. It was fun to do something different with them. What a fantastic idea to rescue all this pottery – looks amazing! And how appropriate for Zentangle! Thank you for sharing this Judy. Thanks for your feedback! 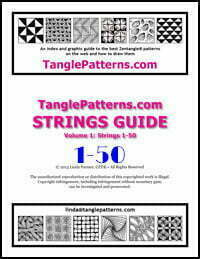 Like you say, it’s really interesting to think about how we can apply this idea to Zentangle…. Thank you so much for this idea Judy. I just looked up Kintsugi on the internet and now I want to not only use the pictures for string ideas, but I would love to try repairing a broken ceramic piece. I may actually have something in my cupboard that I didn’t want to throw away and now I know how to fix it beautifully. 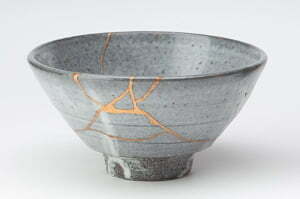 Thank you Linda for posting the links about Kintsugi. It seems to me that the concept of kintsugi could be applied to a collaborative between an adult and a very young child. Give the child a gold crayon and a tile and let them have a go-at-it. Use their precious art as a string.